India has witnessed a giant return of BJP with a promise to Bring ‘’Ache Din’’. But will ‘’Ache Din’ come for Judiciary in India is still a question. We have lot of expectations from our new Law Minister Shri. Ravishankar Prasad who himself is India’s senior most lawyer & understands the problem well. 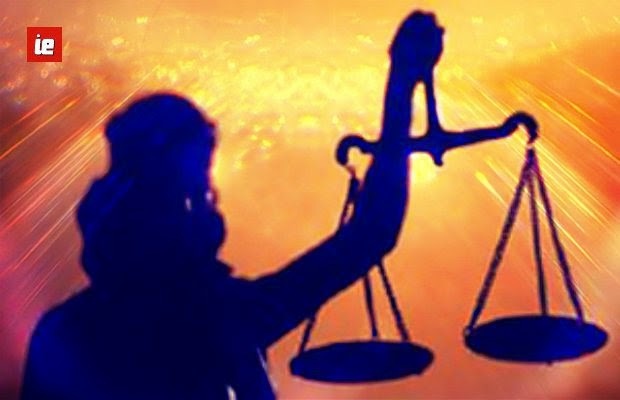 Judiciary in India is one of the important limbs of the government and today it has come to enjoy enormous powers. There is an urgent need to fix the Indian legal system and make it friendly to the common people. There is no doubt that the judiciary is in urgent need of speedy and effective reforms. Corruption in the judiciary is a worrying phenomenon. A corrupt judge being doubly dangerous as he is the one to enforce the writ of the Constitution and ensure that no arm of governance violates laws. The judicial system is no less corrupt than any other institution of the government; it is well known to those who have had to deal with it. It’s clear that one cannot even register an FIR against a judge taking bribes without the prior permission of the Chief Justice of India. The media & Press is also unwilling to talk about it because of the fear of contempt. Thus, the Indian judiciary has become opaque, which needs to be transparent in a democracy like India. The majority of undertrials spend more time in jail during trials than the maximum sentence that can be imposed upon them. It is seen that near decades cross in undertrial & then the person convicted is found fair and not guilty. Thus for that person it’s really a punishment imposed irrespective of any substance which is not a case in one of the largest democracy. The undertrials in the judicial system make easy way for heavy weight people, who can have the police at their side, to harass. Thus, a person character must be minutely examined before sending one for undertrial’s, else it would be unfair, unjust. ‘Justice delayed is justice denied’ is a gray saying. This legal quote denotes if timely justice is not provided to the sufferer it loses it importance and violates the power of basic human rights. It is reported that more than 40 lakh’s cases are pending for disposal in the High Courts and the number of cases pending in the subordinate courts has crossed two Crore’s..Victims have to go through a huge time while seeking justice, we often hear about such justice being delivered either after the death of the seeker or at that time when it has become redundant for seeker. This approach of justice delivery system brings forth a pathetic situation prevailing all around. International investors take this as one of the big hurdles of doing business in India as Courts are considered only as a last resort or as an means to harass the opposite party. It is clear that a strong judiciary can protect our democracy and human rights but in order to protect us, it should be first transparent & accountable. Our Legal system lacks in its own cleaning mechanism. Because judges can’t judge their own brothers objectively and in the unlikely event of any judge being found guilty. Calcutta high court judge Soumitra Sen is the only judge in India to have been ever impeached by any house of the parliament. In early nineties, Supreme Court judge V Ramaswami had faced similar proceedings in Parliament. But the Congress bailed him out by abstaining from supporting the impeachment motion. Hence, such cases should have so called – “Zero Tolerance” irrespective of any favour as it’s all in country’s interest. Inspite of judges appointing judges ,Why can’t a joint parliamentary committee should be set up and perform the process of removing a judge. Judiciary needs at least 40,000 judges to tackle the huge backlog of almost 3 crore cases. Over three crore cases are pending in various courts across the country and this unacceptable level can only be reduced by appointment of more judges . India to have 15 crore pending cases by 2040, report says if the condition continues to be the same. India has just 13 judges for every ten lakh people as against 35-40 in other developing nations and 50 in a developed country, a Parliamentary panel has said and urged the government to make all efforts to fill up the existing vacant posts of judges. The Primary Causes of Law Delays & Justice are quite evident .The Inadequate number of judges and courts in the country is clearly one of the major reasons for such delay. The Governments have not only failed to increase the numerical strength of judges and courts but have also been slack in filling up of vacancies. If India compares with USA,UK there’s only 10 – 12 judges per 10 lacks of people in India while in U.S.A. & UK it is 65 – 75 judges per 10 lacks of people, 50 – 55 judges in U.K., even India’s neighbour and far backward in every aspect has the rate much higher than that of India. We must remember that people turn to the judiciary for getting fair justice. The time has come when judiciary must wipe out its black tags & we hope that it will gradually be able to reclaim & restore it as an accountable institution in the worlds largest democracy “India”.